★★★ ORTA SAN GIULIO The historical centre of Orta has dramatic and romantic outlooks, arch built houses, balconies and little towers, the first glimpse to the island caught from the narrow alleys. Exactly in the medieval lane named "Contrada dei Monti", there is the hotel named after it, rebuilt in a 18th century house, restored following the very historical design. The historical centre of Orta has dramatic and romantic outlooks, arch built houses, balconies and little towers, the first glimpse to the island caught from the narrow alleys. 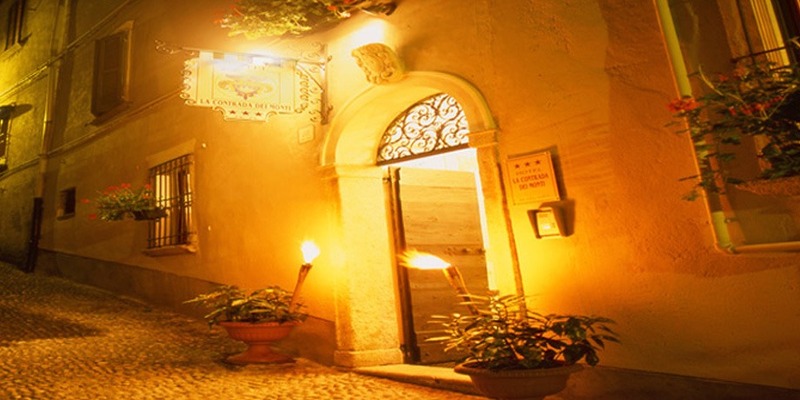 Exactly in the medieval lane named “Contrada dei Monti”, there is the hotel named after it, rebuilt in a 18th century house, restored following the very historical design.